SLEEPWALKER is the latest film from director Elliott Lester. Troubled by bouts of sleepwalking and disturbing nightmares, graduate student Sarah Foster goes to her university's sleep research center for help. When she wakes up after her first night of being monitored, the world she lives in seems to have changed in subtle, Twilight-Zone-esque ways. In fact, every time she goes to sleep now, she wakes up in a slightly different version of her world. With the help of sleep researcher Dr. Scott White, she tries to work her way back to the reality she started in. But when they finally succeed, it’s revealed that Sarah’s world is not what she thought at all. 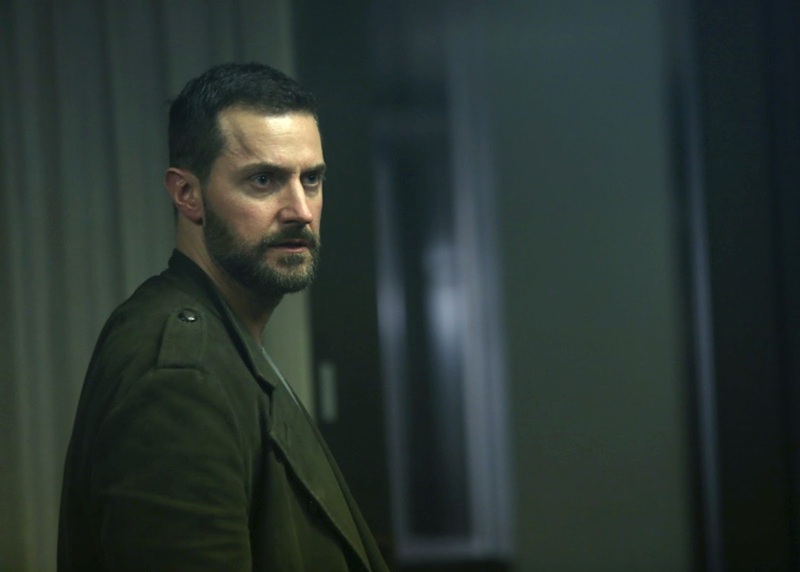 Today my guest is one of the stars SLEEPWALKER, Richard Armitage. Tonight we talk about his work on that film as well as his work as Thorin Oakenshiled in The Hobbit Films, as John Proctor in The Crucible, and his upcoming films Ocens 8 and the Julie Delpy directed film My Zoe. Sleepwalker is Now Available on Digital HD and On Demand. To here my interview with Ricard, click play on the embedded player below.